This free application is available to the public and does NOT require an active PilotEdge account. 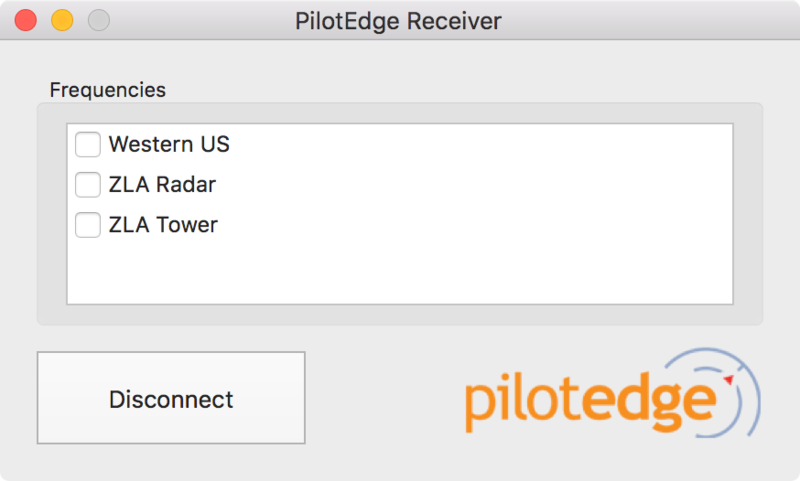 The PilotEdge Receiver allows users to monitor multiple PilotEdge ATC positions in real time. 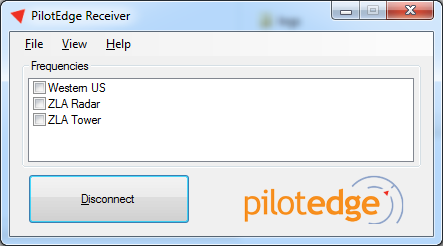 This is ideal home users, ATC enthusiasts, or for commercial customers who would like to draw attention to the capabilities of their PilotEdge-enabled flight training devices. It also has the ability to launch the real-time map, allowing users to track the progress of aircraft that are making transmissions on the radio. The application permits monitoring of the ATC service during published operating hours for the network (8AM-11PM Pacific time). To install: Unzip the archive, then drag the .app file into your Applications (or run it in place, if desired). Mountain Lion users may need to right-click on the App and select ‘Open’, instead of double-clicking, to bypass the security warning – this should only be necessary once. This initial release has a hardcoded channel list and doesn’t actively detect which controlling positions are staffed.